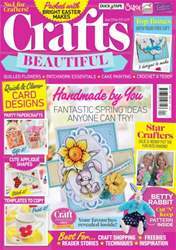 Quick and clever card designs; party papercrafts; patchwork essentials; top Easter makes; over £4,700 worth of prizes! 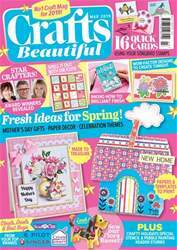 Settle down with a cup of tea and a copy of our April issue that's full of lovely things to make and see. 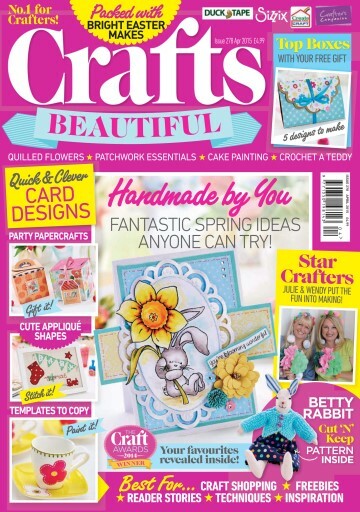 We've got a stitched bunny and knitted bear for little ones to cuddle up with and plenty of Easter cards, trinkets and accessories to create. 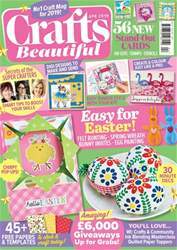 Start patchworking using our essential steps, see what's caught our eye in our top ten Easter makes and bakes and learn how to give your home a spring update. 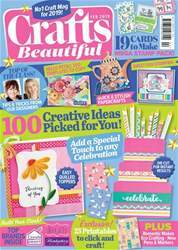 Finally, we chat to cake painter Natasha Collins, Crafty Beggars stars Julie and Wendy and announce the winners of our Craft Awards 2014. Happy crafting!